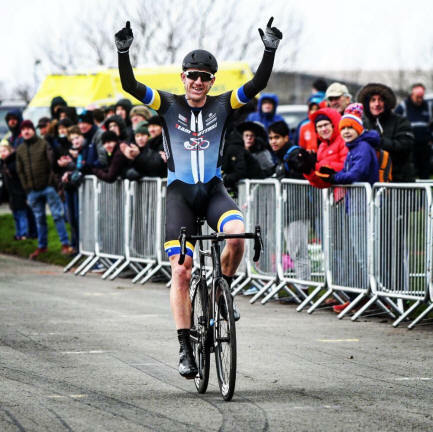 2018 runner-up Matt Bottrill created history at Aintree when he lapped the entire race to take an incredible solo win. Battling challenging weather conditions, it was Matt's second Soens win, 21 years since his first back in 1998. 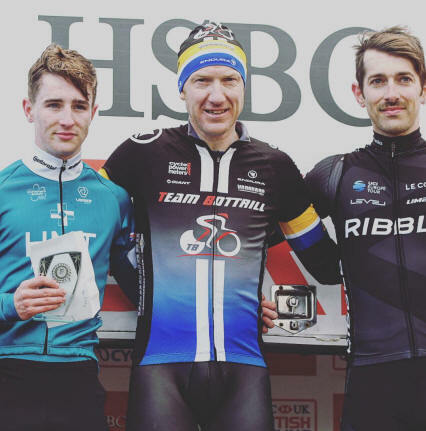 Saturday 9th March 2019 was the 58th edition of the Eddie Soens Memorial Cycle Race, the classic early season event in North West cycling. Covering 50 miles (30 laps) of the 'Club Circuit' at the world famous Aintree Racecourse, the race is open to all categories and is run on a handicap basis. Created by Kirkby Cycling Club, the event is now promoted by Merseyside Cycling Development Group. As well as the history of the race and details of past winners, on this website you will find information on how to enter and - on race day itself - the official result will be here!